I was also contacted by an artist/curator who supplies pieces to some of the head offices and the gallery space in Kings Hill - just up the road. I've got several pieces on show there until September. I like knowing they're out there on show, hopefully bringing a bit of colour to people's working day. Following on from last Autumn's run of exhibitions, I joined up with 34 other local artists to take part in the Tonbridge Area Open Studios event throughout the month of June. We kicked off with a stall at the inaugural Tonbridge Art Fair on Sat June 2nd which was a great day - fabulous weather and lots of visitors strolling along the riverside in the centre of town. I handed out stacks and stacks of art trails to raise the profile of the open studios event over the following weekends. School's finished for the summer now so I've given myself a week to relax a little and catch up with life before getting stuck in again. I've got 4 exhibitions coming up during September-November so am currently reviewing my available work and starting to think about new pieces. As usual, its all going to be a bit of a mad dash as the deadlines for submission are only a month or so away, and I need to combine painting with some summer fun with a seven year old - so we'll see how much I get done and how close to the wire it gets - extremely I'd imagine, knowing me. I'll have one painting at Tonbridge Parish Church as part of their heritage weekend celebrating flowers, art and creativity on 7th-9th September. From 6th-14th October I'll have some paintings at the fabulous PURE autumn art fair at the Powdermills Hotel in Battle, East Sussex. It was my first time exhibiting there last year and I was thrilled to be selected again. Its well worth a visit with a huge variety of absolutely stunning artworks. The weekend of 26th-28th October is the 28th Kent Painters Group annual exhibition and sale at Sevenoaks School, Kent, and again I'm really happy to be exhibiting for a second year. Its a single weekend of wonderful art. I'll be there on the Friday night so do come and say hello. Finally, 16-18th November is the Yalding Art Fair at St Peter's and St Paul's Church, Yalding, in aid of School Gambia. Its a worthwhile charity and a new one for me so I'm excited to see how it goes. 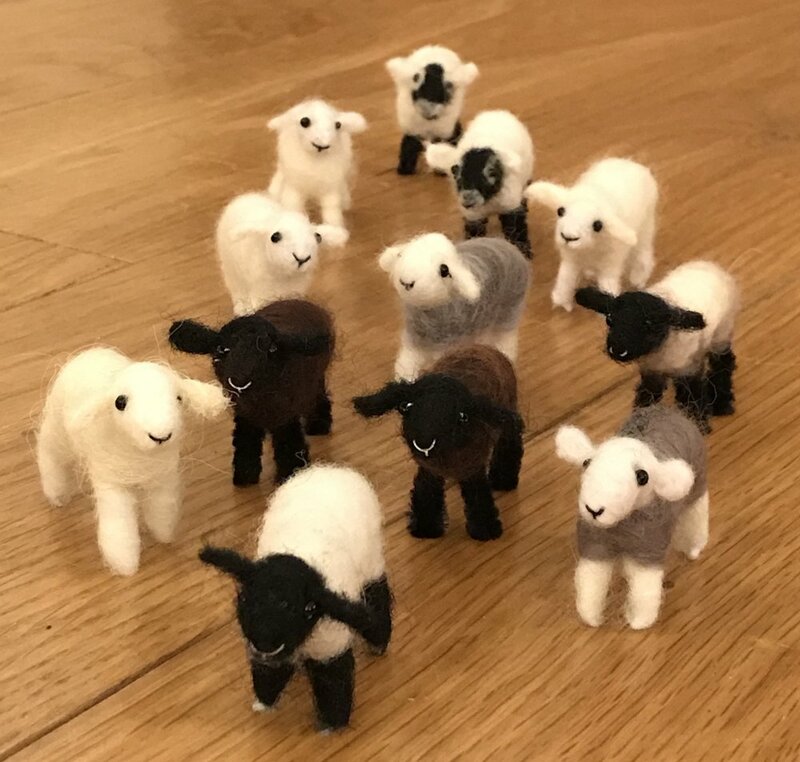 On the side, I've been doing a fair amount of needle felting this year - mainly sheep - and am hoping to create some little winter animals for sale in the run up to Christmas. Its going to be a busy few months!